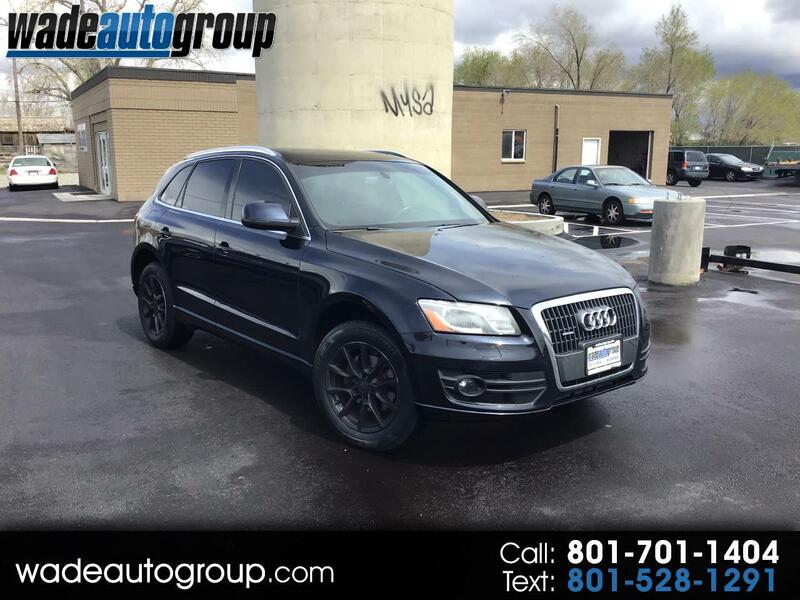 2011 Audi Q5 2.0T Premium Plus AWD- Dark Blue W/ Saddle Leather.. Branded TITLE!! !- NEW Tires, Navigation, Back Up Cam, Pano Sunroof, Leather Seats, Heated Seats, Pwr Seats, Pwr Liftgate, Smart Key, Total loss occurred in 2015, Car has been owned in CA and UT, Steering Wheel Audio Controls. Here at Wade Auto Group we sell quality vehicles at low prices. This car has a CLEAN TITLE. Call now or visit us at www.wadeautogroup.com WADE AUTO GROUP 12277 South 700 West Draper UT 84020 ''You've got it made with WADE'' WE BUY TRADES.....Extended Warranties available, call for more informatioN.